All properties are required to be reassessed as of the date of Change in Ownership. Certain exclusions from reassessment may apply, therefore avoiding an increase in your property taxes. Our office reviews all recorded deeds to determine which properties require reappraisal under the law. Our office may also discover changes in ownership through other means, such as taxpayer self-reporting, review of building permits, field inspections or newspapers. Property Owners must notify the Assessor of any changes in ownership as soon as possible to avoid potential interest charges or other penalties. California law provides that the assessor must assess as many as eight years prior if there is a failure to file the change in ownership statement. The statute of limitations provides that the Assessor must reassess as many as eight (8) prior assessment years due to failure to file the Change in Ownership statement. Owners of any property that has had changed in ownership (except by death of an owner) must file a Preliminary Change in Ownership Report (PCOR) when the transfer is recorded. Or if un-recorded, a Change in Ownership Statement within the prescribed time limits from the date of transfer. Failure to notify the Assessor may result in the assessment of failure-to-file penalties. If the change in ownership was the result of a death, the law requires that the Death of Real Property Owner form be filed with the Assessor within 150 days from the date of death. While a transfer of property may constitute a change in ownership, a number of exclusions exist so that certain types of transfers are excluded, by law, from the definition of change in ownership. For the following types of transfers, the property will not be reappraised. Proposition 58 : Transfers of the principal place of residence between parents and their children (there is no limit on the value of the residence) if a completed application is filed timely with the county assessor’s office. Proposition 58 : Transfers of up to $1 million of real property between parents and their children, other than a principal place of residence, if a completed application is filed timely with the county assessor’s office. The two co-tenants together owned 100 percent of the property as tenants in common or joint tenants. The two co-tenants must be owners of record for the one-year period immediately preceding the death of one of the co-tenants. The property must have been the principal residence of both co-tenants for the one-year period immediately preceding the death of one of the co-tenants. The surviving co-tenant must obtain a 100 percent interest in the property. The surviving co-tenant must sign an affidavit affirming that he or she continuously resided at the residence for the one-year period preceding the decedent co-tenant’s date of death. Proposition 60/90 : The purchase of a replacement dwelling by a person who is 55 years of age or older, where the replacement dwelling will be that person’s principal place of residence and is equal or lesser in value than the original residence. In such cases, the base year value of the previous home may be transferred to the new home so that the new home will not be reassessed to its current fair market value. The original and replacement residences must generally be located in San Francisco. Proposition 110  (same as Propositions 60/90 except there is no age requirement): The purchase of a new principal residence by a person who is severely disabled (physical disability or impairment only – not mentally). Transfers of real property between registered domestic partners that occurred between January 1, 2000 and January 1, 2006 (section 62(p) of the Revenue and Taxation Code). County assessors are required to reverse any reassessments that resulted from any transfers of real property between registered domestic partners that occurred during this time period if the taxpayer files a timely claim. However, relief for such a reversal is applied only on a prospective basis. The registered domestic partners will not receive any refunds. The purchase of a replacement property if the original property was taken by governmental action, such as eminent domain or inverse condemnation. Transfers of real property between husband and wife, which include transfers in and out of a trust for the benefit of a spouse, the addition of a spouse on a deed, transfers upon the death of a spouse, and transfers pursuant to a divorce settlement or court order (section 63 of the Revenue and Taxation Code; Rule 462.220). Transfers of real property between registered domestic partners that occur on or after January 1, 2006, which include transfers in and out of a trust for the benefit of a partner, the addition of a partner on a deed, transfers upon the death of a partner, and transfers pursuant to a settlement agreement or court order upon termination of the domestic partnership (section 62(p) of the Revenue and Taxation Code). Transactions only to correct the name(s) of the person(s) holding title to real property or transfers of real property for the purpose of perfecting title to the property (for example, a name change upon marriage). Transfers of real property between co-owners that result in a change in the method of holding title to the property without changing the proportional interests of the co-owners, such as a partition of a tenancy in common. Transfers between an individual or individuals and a legal entity or between legal entities, such as a co-tenancy to a partnership, or a partnership to a corporation, that results solely in a change in the method of holding title to the real property and in which proportional ownership interests of the transferors and the transferees, whether represented by stock, partnership interest, or otherwise, in each and every piece of real property transferred, remains the same after the transfer. The creation, assignment, termination, or reconveyance of a lender’s security interest in real property or any transfer required for financing purposes only (for example, co-signor). It is highly advisable that the title be reverted back to its original owner(s) within 6 months of recordation. Lack of or failure to return title as stated is a potential for change in ownership. In such case, the Assessor may reassess the property. Note: The Assessor may request financial substantiation for the transaction once title has been reverted back to the original owner(s). The substitution of a trustee of a trust or mortgage. Transfers that result in the creation of a joint tenancy in which the transferor remains as one of the joint tenants. Transfers of joint tenancy property to return the property to the person who created a joint tenancy (i.e., the original transferor). Transfers of real property to a revocable trust, where the transferor retains the power to revoke the trust or where the trust is created for the benefit of the transferor or the transferor’s spouse. Transfers of real property into a trust that may be revoked by the creator/grantor who is also a joint tenant, and which names the other joint tenant(s) as beneficiaries when the creator/grantor dies. Transfers of real property to an irrevocable trust for the benefit of the creator/grantor or the creator/grantor’s spouse. How does a change in ownership affect property taxes? Once the county assessor has determined that a change in ownership has occurred, Proposition 13 requires the county assessor to reassess the property to its current fair market value as of the date ownership changed. Property taxes may increase or sometimes decrease depending on the property’s market value as of event date. Does a “transfer of a present interest” in real property occur only when there is a sale or purchase of a property? No. A transfer can be a sale or purchase, but it also can be a gift or inheritance. What constitutes a change in ownership? If a transfer of real property results in the transfer of the present interest and beneficial use of the property, whether in whole or in part, then such transfer would constitute a change in ownership. We’ve finally paid off our home loan. Is this a cause for reassessment? No. A deed of reconveyance is only to officially document the fact that you paid off your loan. This is not a transaction that would cause a change in ownership simply because there is no transfer of beneficial use. My brother and I together own two investment condominiums but we have now decided to hold title to each one separately. If I transfer my 50 percent ownership interest to my brother on one of them and he transfers his 50 percent ownership interest on the other to me, will both properties be reassessed? Yes. The county assessor will be required to reassess 50 percent of each property to current market value. This will result in 50 percent of each property maintaining its prior base year value and 50 percent of each property receiving a new base year value. The interests cannot be partitioned because the two condominiums are separate appraisal units. I bought a house under a contract of sale but we did not have it recorded. Do I need to file any change of ownership form? Yes. In those cases where no deed is recorded, California law requires property owners to file a Change of Ownership Statement (see Forms/Attachments tab) whenever real property or locally assessed manufactured homes change ownership. My mom, sister, and I purchased a commercial property as joint tenants. If mom grants her interest to me and my sister, does this transfer constitute a change in ownership? If I add a friend or sibling on as a joint tenant to my property, would this cause a reappraisal at today's market value? What if I add them as tenants-in-common? No. Adding joint tenants does not result in reappraisal so long as you, as the original joint tenant, remain as one of the joint tenants. As a result of this exclusion, you become an “original transferor.” Once you no longer have an interest in the property, at that time, the entire property would be reappraised. However, adding someone to title as tenants-in-common is a change in ownership, unless an exclusion applies. My brother and I purchased a house a number of years ago. We took title as joint tenants and have been living there ever since. If my brother dies, will his share be reassessed? You may qualify for the co-tenancy exclusion if you file an affidavit with the county assessor when your brother dies. As long as both you and your brother together own 100 percent of the property and, for the one-year period prior to the date of death, both of you were on title and continuously resided in the property, the surviving cotenant will qualify for the co-tenancy exclusion. My domestic partner and I live in a home that I own. May I transfer one-half of my ownership interest in the property to my partner so that we could hold title as tenants-in-common without the transfer being a change in ownership reassessment? Yes. 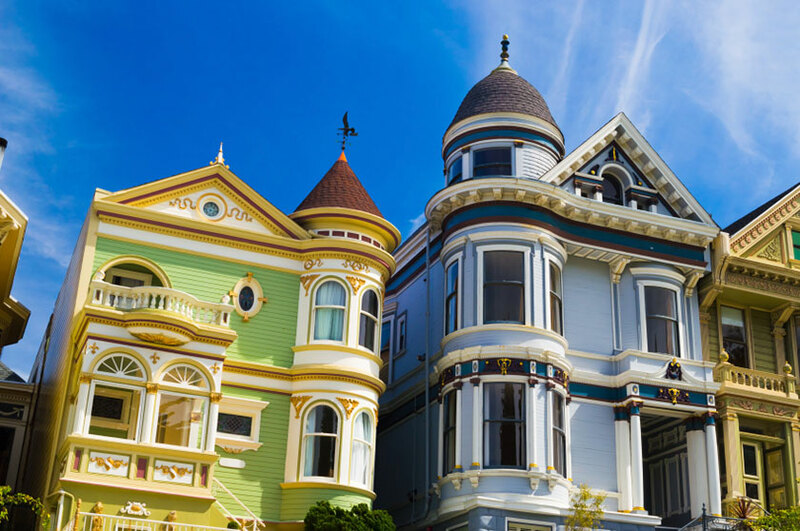 If you are registered with the California Secretary of State, transfers of real property between registered domestic partners are excluded from reassessment. Are changes in leases subject to change in ownership rules? * Only that portion of a property subject to such lease or transfer shall be considered to have undergone a change in ownership. For instance, a qualifying lease of one shop in a shopping center requires reappraisal of only that shop. How do I inform the county assessor that I purchased a property? Section 480  of the Revenue and Taxation Code requires the buyer of any real property subject to local property taxation that has changed ownership to file a change in ownership report. What is a Preliminary Change of Ownership Report form and a Change in Ownership Statement? Ordinarily, when sales or transfers of property are recorded with the county recorder, whoever records the deed also files a Preliminary Change In Ownership Report (PCOR) for the owner. The county assessor will send out a Change of Ownership Statement (COS) to the owner when a Preliminary Change of Ownership Report (PCOR) is either not filed when the transfer is recorded or is filed incomplete. What are the penalties for not filing a Preliminary Change of Ownership Report or Change of Ownership Statement? If the owner responds within 90 days of a request to complete a Change of Ownership Statement from the county assessor but not within 90 days from the date of transfer, can a penalty be imposed? No. A penalty is triggered only by the county assessor’s request to file the Change of Ownership Statement. I still have questions about the laws regarding change in ownership. Where can I find more information? If you still have questions about changes in ownership, you may call the California Board of Equalization’s Assessment Services Unit  at 916-274-3350.